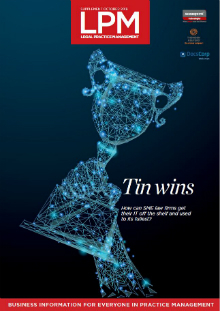 This month, LPM magazine's Tin wins technology supplement investigates how SME law firms can get their IT off the shelf and used to its fullest – thank you to our sponsors Accesspoint Technologies, Thomson Reuters and DocsCorp for helping to make this happen. >> Any problems? Having problems downloading LPM magazine? Email Kayli and we'll email you a copy instead.